With 100 days until the 2019 World Cup gets underway, might it be the year that England lift the global game's premier limited-overs trophy at long last? With 100 days until the 2019 World Cup gets underway, might it be the year that England lift the global game's premier limited-overs trophy at long last? England -- the pioneers of one-day cricket as a professional sport -- have taken part in every World Cup since staging the inaugural men's event in 1975. But all they have to show for their efforts are runners-up medals from the 1979, 1987 and 1992 finals. Test cricket has long been the priority for everyone in English cricket, be they players, fans or administrators. That changed, however, after another World Cup group-stage exit at the 2015 edition in Australia and New Zealand was sealed with a woeful loss to Bangladesh. Then England and Wales Cricket Board supremo Andrew Strauss decreed that white-ball cricket would no longer be the "poor relation", with the former England captain sacking head coach Peter Moores and bringing in Australian Trevor Bayliss specifically to turn round the team's limited-overs form. The transformation has been remarkable with a newly-liberated England twice setting new records for the highest ODI totals -- their 444 for three against Pakistan at Trent Bridge in 2016 a prelude to last year's colossal 481 for six at the same ground. 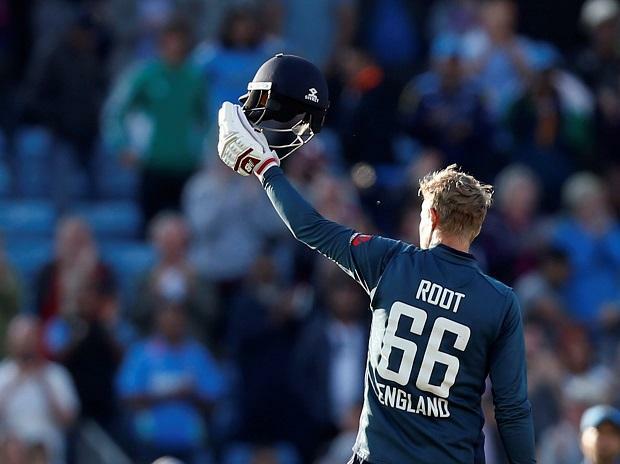 England, captained in 50-over cricket by former Ireland batsman Eoin Morgan, with the side featuring Test skipper Joe Root and the hard-hitting talents of Jason Roy, Alex Hales and Jos Buttler, now sit atop the ODI world rankings heading into their upcoming five-match series away to the West Indies. "We can say we were the best ODI side to play for England... but without a trophy, it will be difficult to say that," said all-rounder Moeen Ali, looking to help England's men win just their second major global event following the 2010 World Twenty20 in the Caribbean. "We have come close and we feel now is the time." "We don't feel we have to win it, it's more 'this is the time to win it'. We are an amazing side but we know this year is massive for us," added Moeen, with England, as was the case in 1975, playing host to a World Cup and an Ashes series in the same season. But unlike that first eight-team edition 43 years ago, which featured two then non-Test sides in East Africa and the long since elevated Sri Lanka, this year's event will be a 10-team affair contested solely by Test nations. Ever since India and Pakistan were both knocked out in the group stage of the 2007 World Cup in the West Indies, thereby putting a huge dent in broadcast audiences, attendance figures and commercial revenues for the rest of the tournament, International Cricket Council chiefs have been determined no such 'nightmare scenario' will ever befall both Asian giants again. The result has been a decrease in the number of non-Test nations involved to the point none will take part this year. That has seen the ICC criticised for making the World Cup too narrow at a time when other sports are expanding rather than cutting the number of teams involve in their global showpiece events. But ICC officials point to the creation of a qualifying tournament -- from which two-time champions West Indies only narrowly emerged -- as proof the non-Test world still has a shot at the World Cup. Rather than have pool stages this year, the ICC have opted for an all-play-all group format -- a move that many believe has more to do with ensuring India, cricket's financial powerhouse, are guaranteed a minimum of nine matches than sporting fairness for all the teams taking part. Such a lengthy group phase ahead of the semi-finals does reduce the chances of any team going through to the July 14 final at Lord's unbeaten. Reigning champions Australia, set to be boosted by the return of star batsmen Steve Smith and David Warner following their lengthy ball-tampering bans, will be bidding for a sixth title. India, with Virat Kohli at the helm, are a major force in all formats while Pakistan defied expectations to win the 2017 Champions Trophy in England. New Zealand will be keen to go one better after losing in 2015 final, while South Africa will arrive hoping to end years of World Cup heartbreak. West Indies, the 1975 and 1979 champions, will have an extra incentive this year after Sunday's announcement that star batsman Chris Gayle will retire from ODIs following this year's World Cup.